Give it a try... It's worth it. I found the story pretty enjoyable. It's a fairly straightforward read and is well paced. It's a story that would encourage a young reader with the main character's resilience and determination. I have enjoyed all of the books in this series but this is the best one so far! 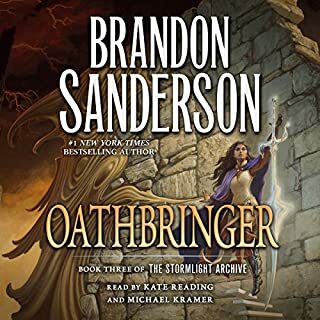 Brandon Sanderson is one of my favorite authors. I really enjoy his imagry and development of his systems of magic. His character development is second to none and the pace and flow of his writing is exceptional. 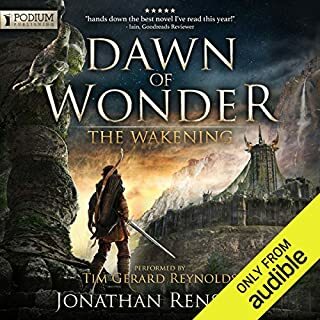 It seemed as though he may have been working on some new literary techniques in this novel with regards to the emotional staging of some scenes and, for me, this kind of detracted from the pacing of some scenes. i.e. the emotional build up displaced the story, and I came for the story. but regardless Sanderson is one of the best. If you aren't listening to, or reading, his books and you like this genre you are missing out. The narrators do a fantastic job as always. 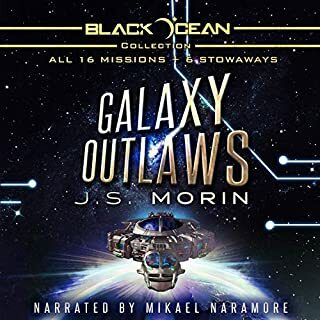 What made the experience of listening to Galaxy Outlaws: The Complete Black Ocean Mobius Missions, 1-16.5 the most enjoyable? 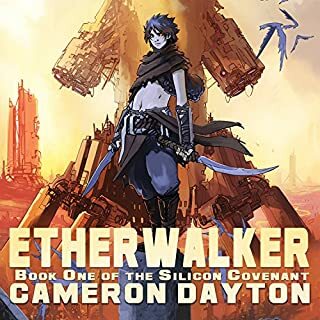 I found this series to be a very enjoying, simple read. It has a nice scope of concept that I found very easy to engage with and very easy to listen to while I went about my usual responsibilities in life. 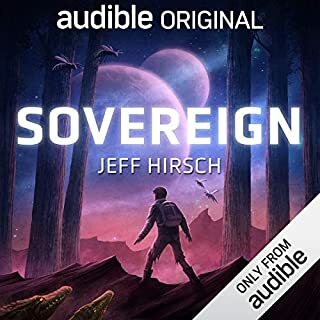 That is something I really value in an audio book. While not as epic in scope as some other works out there for anyone who enjoyed Farscape or Serenity you will enjoy this omnibus. I have recommended this to my brothers and father. What I enjoyed most was Mort! The magic system is pretty cool and his character development is great. He's kind of a barbarian Technomagus. I have not listened to his other works. "Dark Magic, Dark Science and The Deep Astral..."
The world is broken. The powerful machines that once ruled over land and sky fought and died, leaving humanity in a primitive age of swords and monsters. But that was long ago, and only legends of the Schism remain. Enoch has never been frightened by these tales. He sees things differently from the other youth in Rewn's Fork, and that makes him an outcast. Where others see crops and weather and flocks of sheep, Enoch sees numbers and patterns. 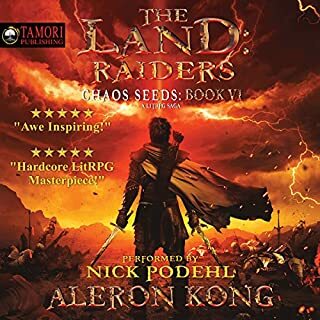 This book covers all the basics of a really good epic fantasy, but the area where it shines is in the vision of the author. I found this book suprising enjoyable and I was disapointed when the book ended. I will deffinatly be buying the next book as my next purchase.